Birth Date: Thursday May 19, 1859. Date: Thursday December 31, 1874. Date: Friday August 05, 1881. Date: Thursday June 03, 1886. Date: Saturday March 14, 1891. Date: Friday January 31, 1896. Date: Thursday March 09, 1899. Date: Sunday March 09, 1902. Date: Sunday June 25, 1950. Elmina herself might have been counted in the Coryell County census of 1870 with her mother of the same name, but with no record of her father's name or her mother's maiden name this only moves the dead-end back one generation. Elmina was 50 at the time of the 1910 Census, and then it was reported that she had born 12 children of whom 7 were surviving. Presumably the decease children died in infancy or childhood, but it mathematically possible that one of them lived long enough to produce a child. I have been unable to account for them. The survivors were one girl and six boys. Two of the boys never married. Irma married John Henry McNeese, who did not live long after the marriage and about whom little has been learned. Irma had at least one daughter and one son who survived childhood. Tood was a life-long bachelor. He was a cowboy, working mostly in Spur, but often residing, at least officially, at the family home 4½ miles northwest of Dickens. Married and had children. He became Sheriff of Dickens County and was shot to death in the line of duty. Married Georgia Stephens and had children. 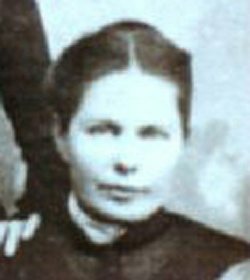 Married Lessie Stephens, sister of Georgia Stevens, and had children. Married, but died young of typhoid fever, subsequent to the "Spanish" influenza from which, it is said, he never fully recovered. He had a posthumous daughter. Died in "Spanish" influenza epidemic at age 16. State Texas, County Dickens. Township or other division of county Justice Precinct No 1. Name of institution, X. Name of incorporated city, town, or village within the above-named division, X. Ward of city, X.
Enumerated by me on the 8 day of June, 1900, F P Collier, Enumerator. "United States Census, 1900," index and images, FamilySearch (https://familysearch.org/pal:/MM9.3.1/TH-267-12048-23974-15?cc=1325221&wc=M941-2JL:n1839233054 : accessed 03 Mar 2014), Texas > Dickens > ED 54 Justice Precinct 1-4; citing NARA microfilm publication T623. Also: "United States Census, 1900," index and images, FamilySearch (https://familysearch.org/pal:/MM9.1.1/M3LP-1CL : accessed 03 Mar 2014), J E Arthur, Justice Precinct 1-4, Dickens, Texas, United States; citing sheet , family 52, NARA microfilm publication T623, FHL microfilm 1241628. Township or other division of county Pre No 1. Name of incorporated place '. Ward of city '. Name of institution, _. Enumerated by me on the 11 & 12 day of May, 1910, Nat[?] Patton, Enumerator. Census Image Also: "United States Census, 1910," index and images, FamilySearch (https://familysearch.org/pal:/MM9.1.1/M2M7-PB4 : accessed 08 Mar 2014), Marvin Arthur in household of Dink Arthur, Justice Precinct 1, Dickens, Texas, United States; citing sheet , family 132, NARA microfilm publication T624, FHL microfilm 1375560. And: "United States Census, 1910," index and images, FamilySearch (https://familysearch.org/pal:/MM9.1.1/M2M7-PYK : accessed 09 Mar 2014), Phil N Arthur, Justice Precinct 1, Dickens, Texas, United States; citing sheet , family 130, NARA microfilm publication T624, FHL microfilm 1375560. State Texas, County Dickens Township or other division of county Justice Precinct #1. Name of incorporated place [blank]. Ward of city [blank]. Name of institution X. Enumerated by me on the day day of month, 1920, William B Arthur, Enumerator. County county, Ward of city ward; Block No. block no. — Supervisour's District No. : no. Stamped No. no. Census Image Also: "United States Census, 1930," index and images, FamilySearch (https://familysearch.org/pal:/MM9.1.1/H5H8-8ZM : accessed 08 Mar 2014), Ezra V Arthur, Precinct 1, Dickens, Texas, United States; citing enumeration district (ED) 0001, sheet , family 273, NARA microfilm publication. "Texas, Deaths, 1890-1976," index and images, FamilySearch (https://familysearch.org/pal:/MM9.1.1/K3CQ-3WZ : accessed 02 Mar 2014), Elmina Bowen Arthur, 25 Jun 1950; citing certificate number 27781, State Registrar Office, Austin; FHL microfilm 2074370. ARTHURS: Mrs. J.E. Arthur (Aunt Ell as she was known by many) of Dickens, was born in Brown county, Texas, May 19, 1859. She was called to rest on June 25, 1950. The final hour came at her home three miles north of Dickens where she had lived for more than fifty years. Aunt Ell, with her late husband J.E. (Uncle Dink) Arthur, moved to Dickens County in a covered wagon in 1898, arriving in the town of Dickens on the third day of January, that year. They settled at the old home-stead near Dickens where she departed this life on Sunday, June 25. The home is now occupied by one of her surviving sons, E.V. Arthur. When the Arthurs arrived in Dickens county it contained but one town, that of the present county seat, Dickens, which was established early in 1891. This family, like all other pioneers of that early day, made their home with their children in a half dugout. Present buildings of the old home stead were erected about 40 years ago. Their early days were devoted to stock raising, and for additional income, Uncle Dink operated a freight wagon hauling supplies from Quannah, the nearest RR point at that time. Early day freighters, such as the Arthurs, commonly used two wagons trailed together and drawn by from four to six mules of horses. Mothers of that early day in Dickens county suffered many hardships, staying at home with their children while their husbands were away. Of these early day mothers, Aunt Ell was typical. Aunt Ell Arthur was the mother of a large family, mostly boys. As her family grew and other families moved in, the home of Uncle Dinks and Aunt Ell became one of the principal meeting places for the young people of the community. Neighboring boys had a feeling of freedom in the Arthur home, coming in on occasions late at night, always knowing a bed would e waiting, or if hungry, food was in the kitchen for the asking or taking. Aunt Ell obeyed the Gospel of Christ and became a Christian in early life (she was a member of the Church of Christ for more than sixty years). Her life for Christ was ever a light in her home and in the community in which she lived. She was respected and loved by all who knew her. Her husband and ten children preceded her in death; She is survived by two sons, E.V. Arthur of Dickens and O.C. Arthur of Spur; 18 grandchildren and 31 great-grandchildren, many nieces, nephews and friends. Services were held at the Dickens Church of Christ by Buel Lindley of Abilene, assisted by Willis G. Jernigan of Spur. Interment was in the Dickens Cemetery, June 27, 1950, under the direction of Chandler Funeral Home of Spur. Pallbearers consisting of grandsons and great-grandsons included Randolph McNeese, Hereford, Texas; Don McNeese, Hereford, Texas; Deen Arthur, San Angelo, Texas; Walter Horton, Borger, Texas; Chas Horton, Floydada, Texas; and Floyd Horton of Lubbock, Texas.